Cass Business School operates on a rolling admissions basis. This means that candidates apply for, and are admitted to, our Masters programmes all year round. Most of our applications are received early in the academic year. To maximise your chances of receiving a positive response, we strongly suggest you apply as early as possible. We aim to return a decision within 6 weeks of receiving your application. Cass Business School is not responsible for the return of any submitted documents. Each of our Masters courses may have specific application requirements and we strongly recommend you learning more about individual courses by visiting the relevant course page. If you require any guidance for completing the application form, please see our blog post or contact your Admissions Officer. Courses will close when they are full and notification of the closure date is added to the course overview page when closure is imminent. Please note that we will stop accepting applications from overseas students requiring a Tier 4 visa on 15th July 2019. This is to ensure you have enough time to apply for and receive your visa before the start of the course. After this time we recommend you contact the relevant Admissions Officer for further guidance. 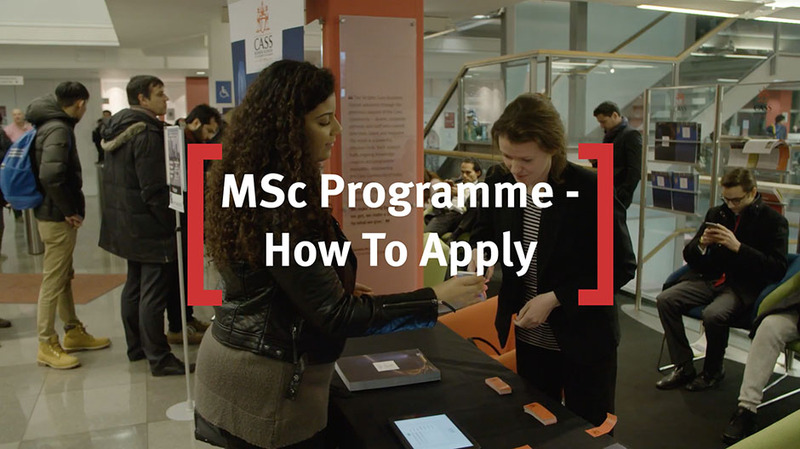 For a successful application to receive an unconditional status all documents must be verified, so an original or certified copy of the degree transcript must be sent by post to Specialist Masters Programme Office, 106 Bunhill Row, London, EC1Y 8TZ, UK.